I have installed EA in MT4, but I am not getting any trade, why? 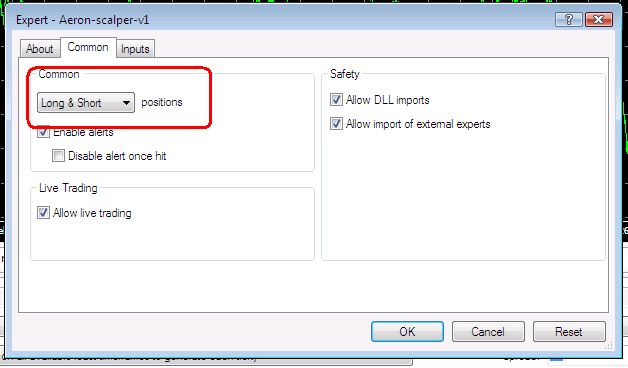 With this button you can turn Autotrading On/OFF. 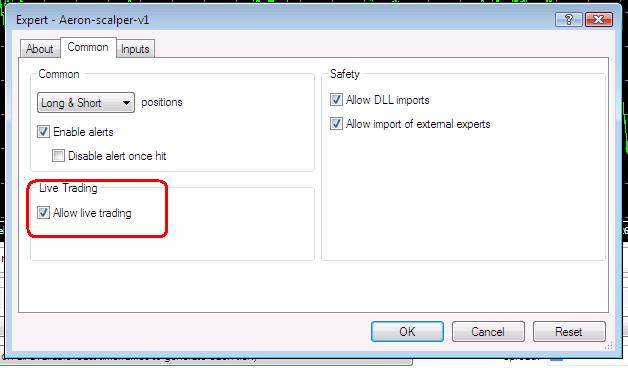 Green “Autotrading” button indicates that Expert Advisors are enabled on MT4. Red “Autotrading” button indicates that Expert Advisors are disabled on MT4. Is trading allowed for Expert Advisor? When you attach the EA to the chart you’ll see “Expert Advisor Properties” window like this one below. If this option is not selected the EA will not be able to perform any trading operations. I am not getting trade in both directions, EA does only sell trade, why? In the example above we see EA is configured to take Long and Short positions (which is default setting), so please confirm this settings. I am getting continuous Alert message... Please Activate EA for this LIVE account, why? 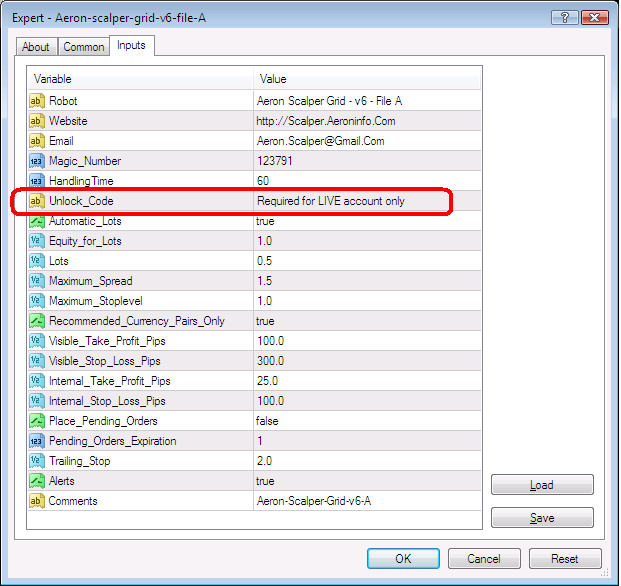 It means that you are trying to use EA on LIVE account either without Unlock_Code or with wrong Unlock_Code. If you use EA on LIVE acount then correct Unlock_Code is necessary. You can get Unlock_Code inside your member's area. To use EA on DEMO accounts Unlock_Code is not required. I have set up everything correct but still not getting trades, why? Please look at journal and experts tab in your MT4 , if there is any error/warning/alert message, then please let us know at aeron.scalper@gmail.com , we will try our best to sort your problem.